Cheers to some of our favorite guys! 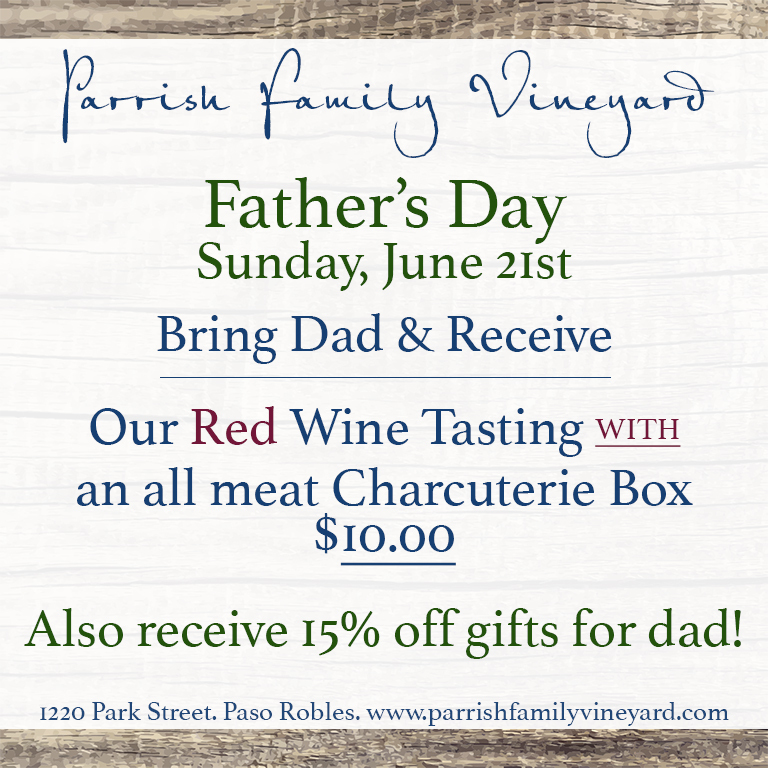 This entry was posted in Uncategorized and tagged charcuterie, fathers day, food, parrishfamilyvineyard, paso robles, red wine, wine tasting by cecily_parrish_ray. Bookmark the permalink.